Homes at An Camas Mòr will be carefully built to the community’s wishes as will be detailed in the Sustainable Design Guidelines. This will enable a range of different builders and designers to create a place that meets the various needs of different ages, household sizes and abilities. Sheltered housing on the high-street, multi-generational homes where two households can live independently in the same building or close-by, and maybe at a later phase, a care home, will include people at every phase of life. Designing spaces that are adaptable and accessible is a key design principle. I have parents who are now getting on in years and both they and we would ideally like a home with a “granny flat”. I really dislike the thought of either of my parents needing a care home, I want to be able to ensure their comfort, oversee have sight of any care being provided to them and to keep them a full and integral part of our family. A safe place to store your bicycle, skis, snowboard, camping gear or kayak is just as important if you live in a flat as if you live in a big house so out-buildings are part the plans for houses, apartments, and terraces. Flats with basement storage, porches with a place to keep muddy wellies are just a few of our community’s practical design ideas which will inform the Sustainable Design Guidance and Housing Delivery Plan. If we want to spend more time out in all weathers, houses should have larger boot rooms and good drying facilities. Serviced plots to build your own dream are part of the Masterplan- The Scottish Government’s Highland Self-Build loan will make this opportunity open to many more people. Forming a self-build co-operative, perhaps as a group of friends, could make it possible to build flats or terraces, not just detached houses on the village edge. 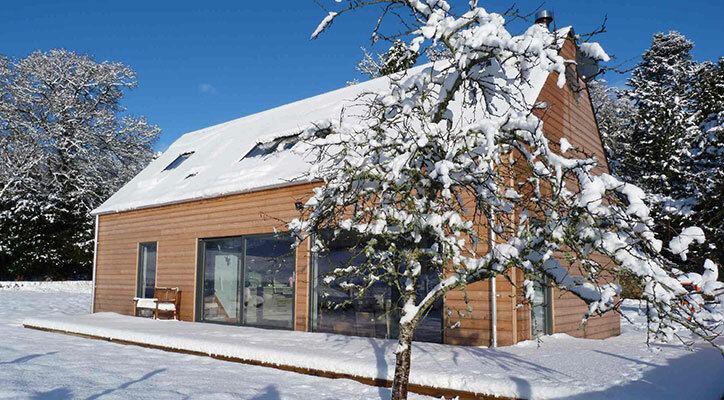 Modern homes by – Hebridean Homes by Dualchas Architects and R House by Rural Design Architects. District heating is planned for homes on and near to the high-street, possibly using low carbon energy from a heat source pump. 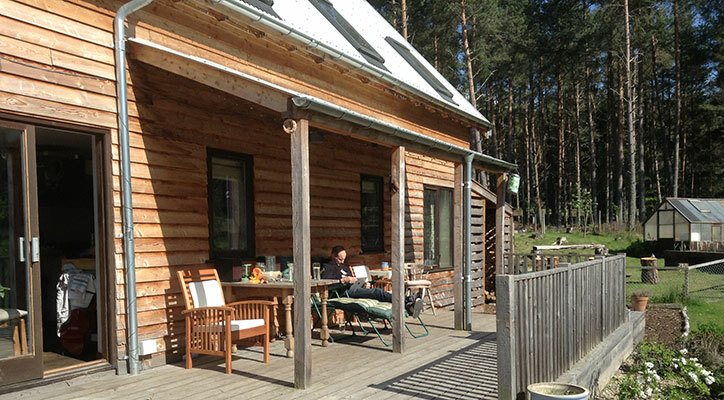 We are planning to work with a minimum of two house building firms, both with a strong record of building energy efficient homes in the Highlands, meeting BREEAM certified sustainability standards- this should help to tackle the particularly Highland issue of fuel poverty. Some houses should be left as shells to allow owners and renters to change the internal size and living needs. Moveable walls for flexibility.